FastPencil sells POD (print on demand) books and eBooks. When a physical book is purchased, it is printed and shipped to the buyer. (Using the POD method, the author/publisher does not have to front the high cost to print or store a large inventory of books.) 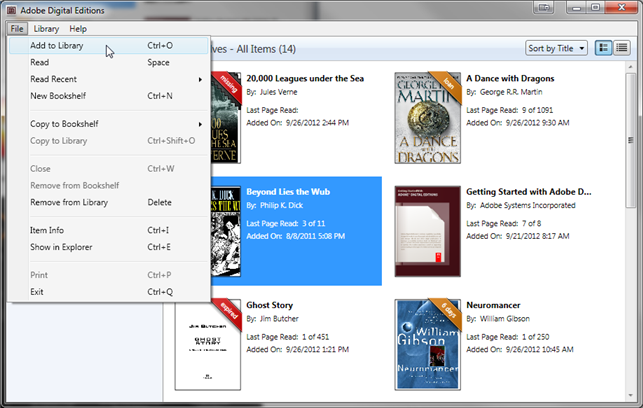 When an eBook is purchased, the buyer receives email instructions and can download the book directly from the logged-in user-view of the FastPencil Dashboard. If you don't already have a favorite eBook app or program, we suggest checking out Adobe Digital Editions (ADE) for reading EPUBs or PDFs on a Windows or Mac computer. Go to File > Add to Library. 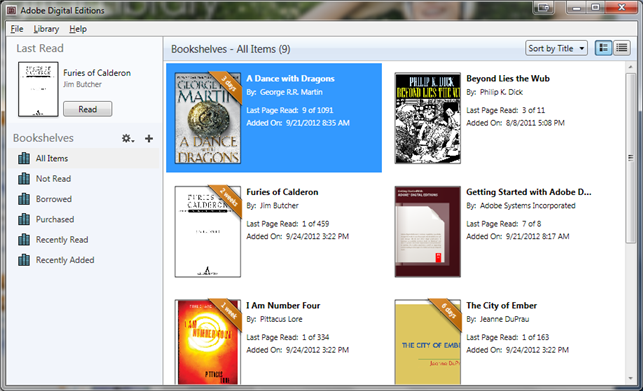 Select the EPUB or PDF file. Double-click a jacket cover to start reading. 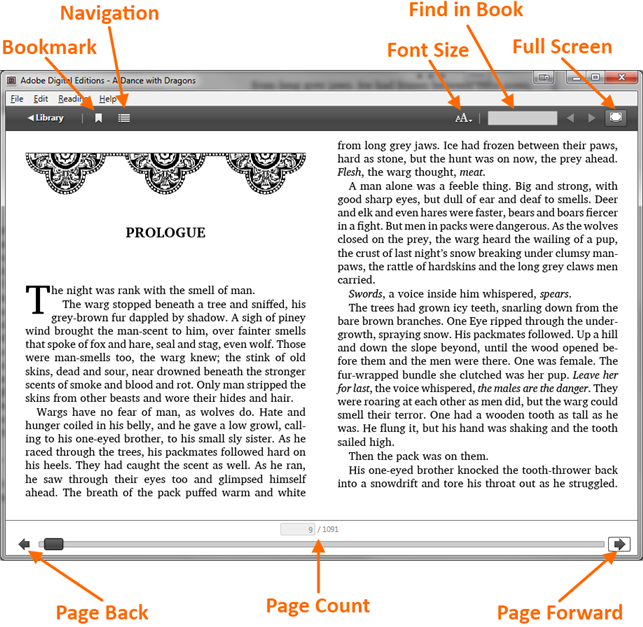 When the book opens, you can start reading right away, or adjust your settings.